LED Cooler Module is for multi-deck display cases. 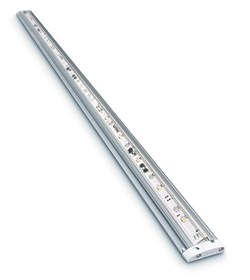 Affinium LCM310 modules feature a rated average life of 50,000 hours, a 1/2-inch profile, neutral white and warm white color temperatures and lengths of 35 and 47 inches. Two different mounting sets are available to accommodate varying shelf types.